LAGUNA HILLS -- As a junior, Rubidoux's Kevin Ramos narrowly missed the record at the challenging course used for the Laguna Hills Invitational. He conveyed to us that it was a mark he wanted as he began building his senior season resume. 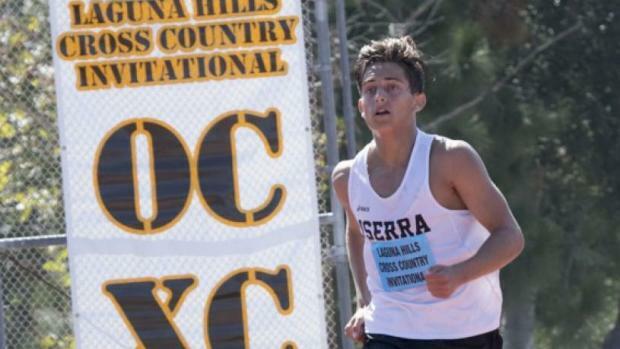 Despite temperatures expected to reach into the low 90's, along with unrelenting humidity, Ramos fended off the challenge of JSerra's Peter Herold and achieved his objective in an impressive 14:48. Ramos equalled the record time run by Eddie LaValle of Corona del Mar in 1988, also, 14:48. The marks are not recorded to the hundredths of a second. Although there have been slight adjustments to the course over the years, meet director Chris Lynch is recognizing both of them. Senior Boys was without question the most anticipated race of the day. Ramos is the defending Division III CIF-Southern Section champion, who was third at State (photo above). Herold was second in the Southern Section D-IV race and fourth at State. That extra nudge from Herold held Ramos accountable for that first half of the race before Ramos started pulling away on the first hill of the tough course. Midway through, he was alone in his endeavor for the record. Churning up that last hill, which plateaus only 100 meters from the finish, Ramos crossed 28.4 seconds ahead of Herold and 22 seconds ahead of the next fastest boy on the course throughout the day. Record or not, an impressive performance nonetheless by one of the nation's elite boys. Herold, also strong throughout, crossed in 15:17, the fourth-fastest time of the day. Even with Friday night's racetrack efforts at the Cool Breeze Invite in Pasadena, Ramos' performance is the most noteworthy in California thus far in 2018. Ramos said he is determined to get back to Nike Cross Nationals to make up for being tripped early on in last year's race. The 36th version of the Laguna Hills Invitational, where many of Orange County's best programs flock, did not disappoint and provided the fans of the sport some added insight into the talent we will continue to see this 2018 cross country season. The Kevin Dempsey XC Course is one of the more challenging out there, which has gone through a couple alterations since we competed on it (Reagan was President; we'll leave it at that.). 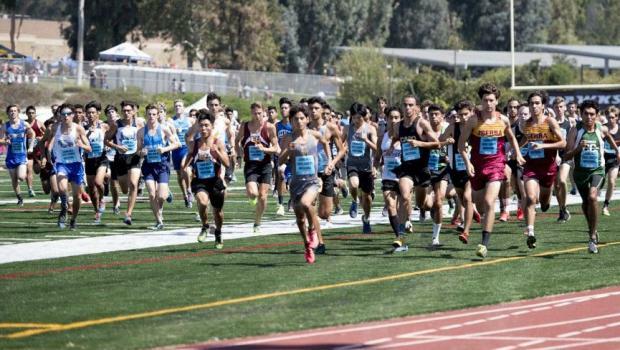 With three tough inclines intact through the decades, several veteran and accomplished coaches agree that it tends to run not too far off from the same times one would expect on the Woodward Park 5K circuit used for the CIF-State Championships. That is more true for the boys, while running between 30-40 seconds slower for the girls. On this particular morning, several were also wondering how they would 'handicap' their kids' performances from the early morning versus the late morning races, considering how the marine layer canopy disappeared right around 10 am to challenge those late races. 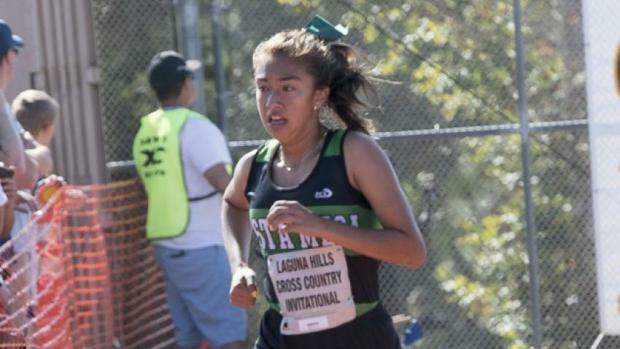 In a huge breakthrough effort, Costa Mesa's Diane Molina rolled to a 17:53 victory over Capistrano Valley's Carly Corsinita (18:07) in the Junior Girls Division 2 race. Molina moved into the lead at the 2-mile mark on the other side of the toughest hill and never looked back. Molina, 15th at last year's Div. IV State Championships after taking 5th at the SS finals, improved by 45 seconds from her 2017 victory. Her effort elevates among the top 10 girls in California! Meanwhile, Corsinita improved by over 65 seconds from last year after coming off an impressive track postseason as both ran the two fastest times of the day. All healed from an injury-plagued track season, J Serra senior Nadia Tabrizi raced to an 18:26 solo effort for the third-fastest time of the day. Fending off the heat and humidity, we would have loved to see her match up with the two juniors, considering she raced 80 minutes later. While we witnessed some impressive individual results, it was the boys from Santa Ana that surprisingly came away with the top team time (80:43, 16:09 avg). We featured Santa Ana in our preseason preview and were impressed with their recent track results. Their time was just ahead of Div. 4 powerhouse, JSerra (81:02, 16:12 avg. ), which was led by the aforementioned Herold and junior Anthony Grover. Grover, the defending State and SS D-IV champion, mentioned how he wished he could've moved up a level to compete in the Senior Boys race with his teammate and Ramos. Nonetheless, relegated to compete within the junior class division, Grover shined on his own with a 15:15 uncontested victory in the Boys Junior Division 3 race. Finishing with the third fastest time, Murrieta Mesa (81:36, 16:18 avg.) not only makes the move over to Division I this season but continues to improve as evidenced from Saturday morning's performance. The Rams were just off our preseason preview but right on the edge of qualifying for a CIF finals spot come November. We projected Santa Ana's boys to compete for a top 10 spot at this November's divisional finals, but after this morning, we're more convinced. Rolling to a 16:18 victory in the freshman race a year ago, and coming off a 4:35/9:55 track season, Brandon Palacios led the Saints with his 15:11 wire-to-wire victory. This was the second-fastest overall time of the day. Fellow sophomore Jesse Del Carmen was 2nd in that race at 16:08 while senior Diego Duran impressed with a 16:03 in the late morning affair. On the girl's side, Vista Murrieta easily outdistanced all squads with a 95:03 team time (19:01 avg.). The Broncos have made the State Meet the past 11 seasons and left no doubt that 2018 should be the 12th trip. But according to head coach Coley Candaele, they did not run two of their top girls, allowing them to mend and be ready to roll by October! Mira Costa's girls, despite missing one of its top runners, left with the second-best team time in 96:45 (19:21 avg.) in what could be an early sample of what will be a great matchup against two of the best come November. Also notable were the girls from Poway, who made the trip up from San Diego and finished with a composite time of 96:54 (19:23 avg.). Vista Murrieta's girls were paced by the 18:27 victory from freshman Devyn Candaele, the youngest daughter of coaches, Coley and Karen. While older sister, Peyton ran in the later senior race with a strong 19:29 effort, Gaby Hubarth brought home the victory there with an 18:58. Sophomores Aniya Pretlow (19:03) and Emily Bourque (19:04) shadowed one another the entire race and gone unseen by most, were even talking to one another midway through the race. With Vista Murrieta holding out two top runners and the younger Candaele not able to consistently train the past two months, the Southwestern League may very well have the two best squads in California by late November.